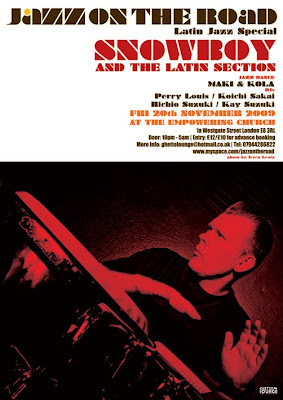 Beat generation-inspired club night Jazz On The Road relaunches this Friday 20th November with a Latin Jazz special at Dalston's latest popular warehouse venue, the new Empowering Church. 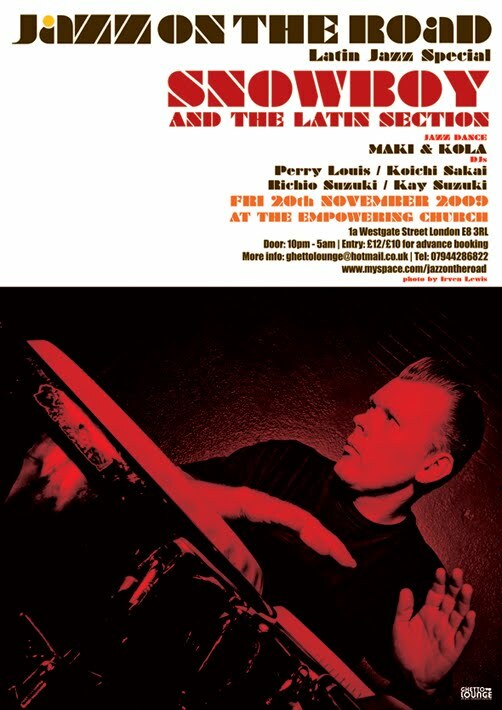 There's an amazing line-up featuring Snowboy & The Latin Section live plus JazzCotech dancers Kola and Maki showing off their moves and guest DJ Perry Louis (Shiftless Shuffle, Jazz Cafe, etc.) who DJ'd for me at Right On! back in 2005. If you like your Latin jazz and hard bop, then this is one not to be missed.